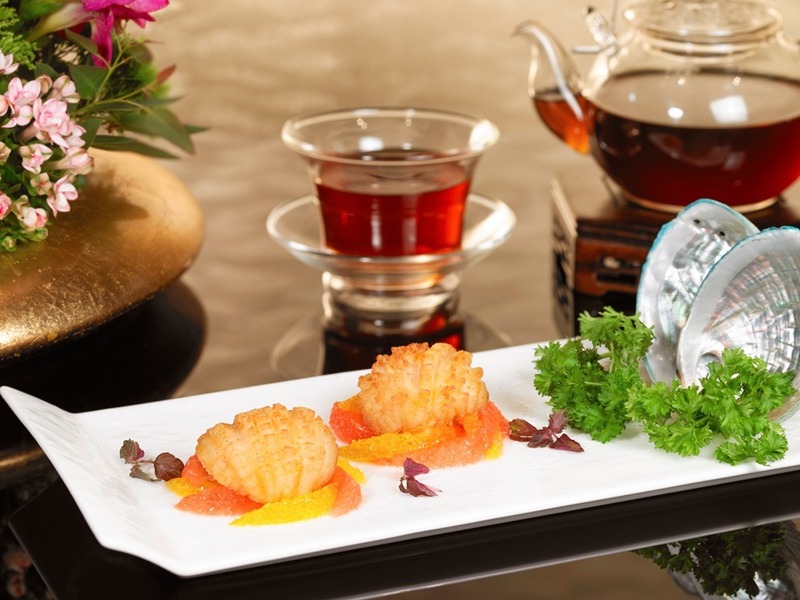 For a limited time only, Wan Hao Chinese Restaurant located at Singapore Marriott Tang Plaza Hotel will be pulling out all the stops to showcase a slew of premium seafood delicacies. Everyone’s favourites such as abalone, lobster, bamboo clams, crabs and caviar will be in the limelight from now until 31 July 2018. 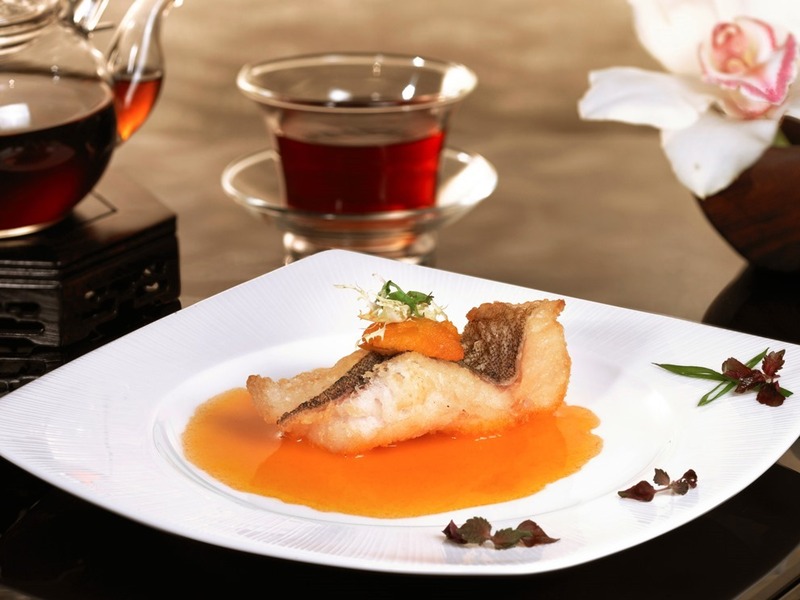 A la carte delicacies start from $16++ per piece while set menus start from $98++ per person. Here is a sneak preview of some of the seafood dishes available during the month of July. It is not often one finds fried abalones as abalones are notoriously difficult to cook. Even a one degree difference in heat will render this delicacy into a rubbery mess. Not only is it fried here, instead of the usual savoury sauce, the abalone is presented in a zesty mix of slivers of citrus fruits. I am glad to report that Executive Chinese Chef Brian Wong’s creative efforts here have paid off. 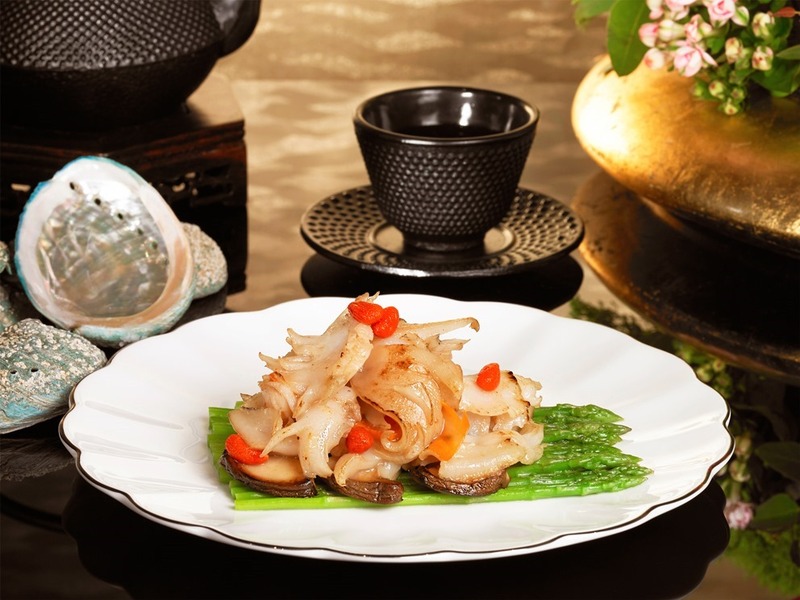 If deep-fried abalone is not quite your thing, another option would be the stir-fried abalone slices with crunchy baby asparagus and meaty slices of king mushrooms. Or how about a slice of Pacific halibut that has been jazzed up with a house-made sea urchin sauce? The sea urchin sauce adds subtle briny hints of the ocean to the otherwise-mild flavoured halibut. The caviar with crab meat and fish paste noodles in seafood broth was also noteworthy. It is not common to find fish paste noodles and if you love noodles, you will love the savoury notes and bouncy texture (aka QQ texture) that the fish paste adds to the noodles. 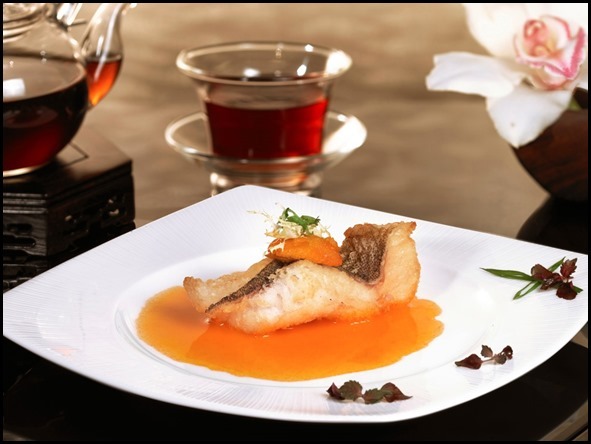 Together with the richly flavoured broth and the generous portion of ingredients, this was a dish that we enjoyed thoroughly. If you’re looking for a nice place to celebrate a special occasion, or a restaurant to impress a client, go for the Set B menu. It costs $118++ per person, certainly not cheap by any means, but it is one where practically every dish is a winner and you’re not paying for any duds. « Hai Tien Lo 24 Claypot Specialities Promotion–It’s back again!